Plot Description: A dual role – demented lead. She plays the role of twin sisters, one of whom is a lunatic. 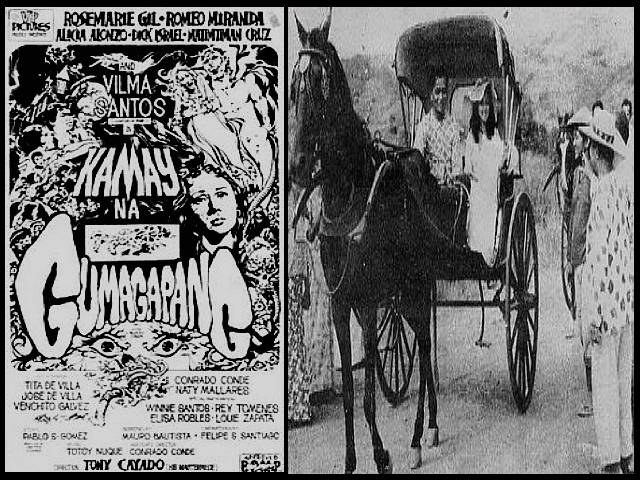 Dama de Noche is showing in three theaters— Remar, Delta and Sampaguita. 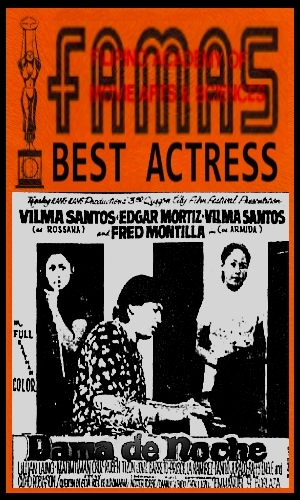 It is, Vilma was quoted as saying, her dream role fulfilled. The very professional Vilma has come out with the resolution than henceforth she will demand to see the script and also see that the script is demanding— or she’ll say nix. Well, Dama de Noche is exactly just that: demanding. In it she delineates the twin-sister roles of sweet Armida and deranged Rosanna. Vilma sobs and screams, giggles, and crazy-dances, claws and clowns, sobs again and screams some more. But she does more than all these things. She acts. 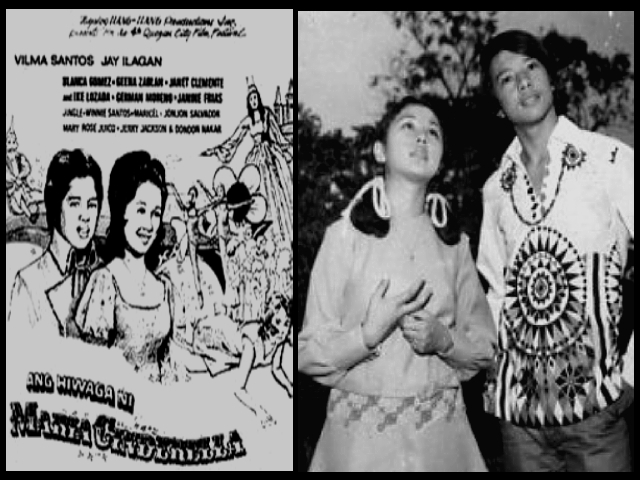 In the Filipino movieworld where crying is synonymous with acting, that certainly is being ahead of one’s kind. Vilma as Armida is drab and dry, almost a movie prop. 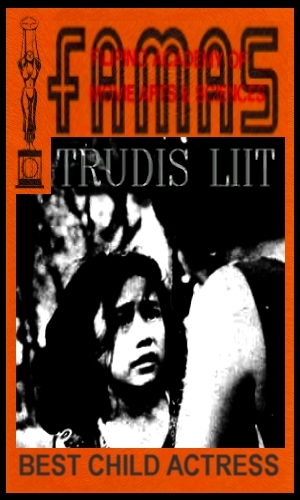 It is in the portrayal of Rosanna that Vilma would tear one’s heart away. 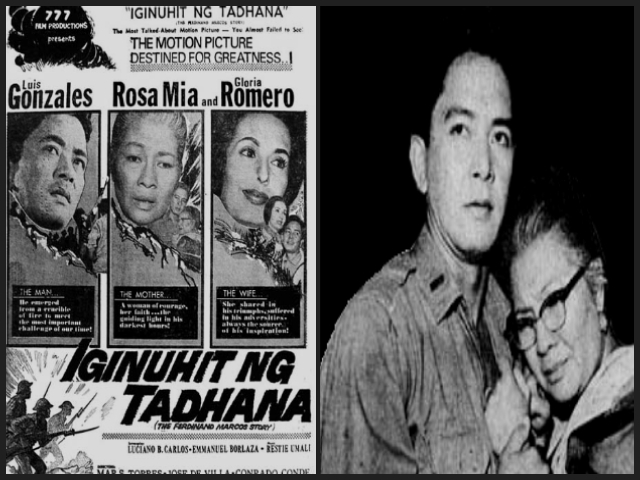 The many close-ups so effectively used throughout the movie show the unglamorous Vilma: her frowns, her lip-twitching, her uninhibited and stifled sobs. But Vilma is less successful with the shifty look that is the distinctive trait of the deranged. She compensates for this in the ‘betrayal’ scene when Rosanna suspects that Leo, Armida and the psychiatrist (Fred Montilla) all conspired to imprison her in the hospital. Another outstanding feat is the subdued scene where Rosanna learns that Leo has gone to the Lerma villa to meet Armida.